We updated the HTML email template editor to use Ace. This is one of our favorite editors and we hope it makes creating and editing Chargify system email templates easier for you and your team. To modify email templates, visit your Site’s Settings tab, Emails section, and click on “Edit Template’ for the desired email. 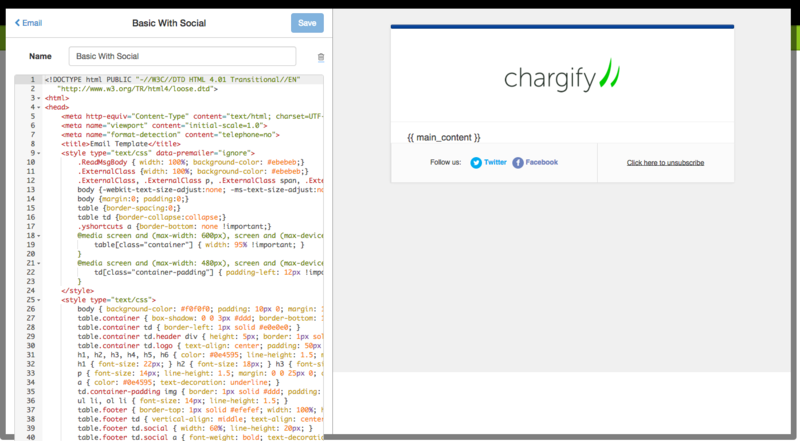 Chargify allows you to specify internal email addresses that are BCC’d on sitewide system emails like signups or end of trials. Many merchants did not want to receive all these emails, but they did want to receive dunning email notifications. 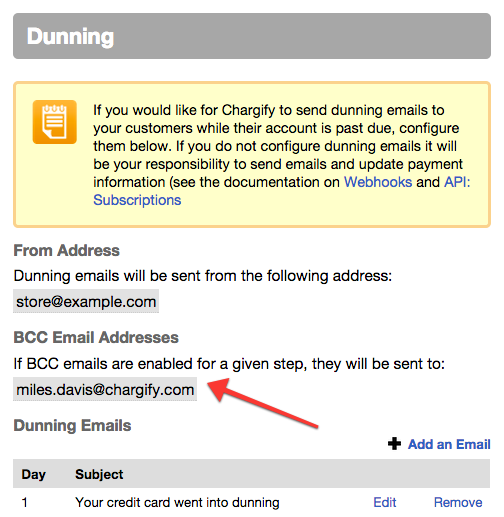 To fulfil this need, we separated the dunning BCC email settings so that you can disable sitewide BCC emails and still get dunning BCC emails. To enable or disable sitewide BCC emails, visit your Site’s Settings tab, Emails section. To enable or disable dunning BCC emails, visits your Site’s Settings tab, Retries and Dunning section.